Pr.CIT, Delhi vs. Saxo India (P.) Ltd.
Ravindra Bhat And Ms. Deepa Sharma, JJ. 1. 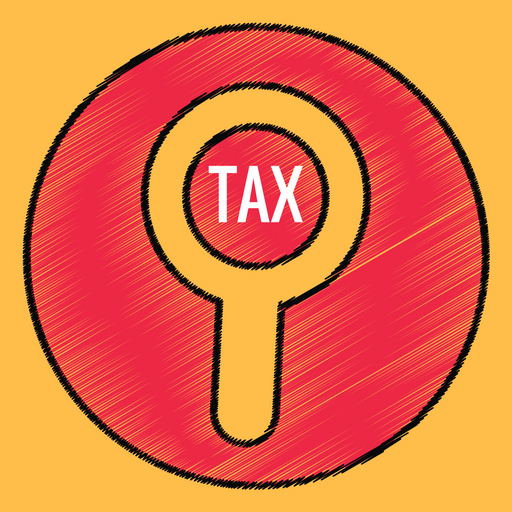 The question of law urged by the revenue in this appeal is with respect to the Income Tax Appellate Tribunal’s (ITAT) direction to exclude five comparables in the Arm’s Length Price (ALP) of the assessee’s for Assessment Year (AY) 2011-12 based on the Transfer Pricing Officer’s (TPO) report/Transfer Pricing study report. 2. The assessee earlier known as Saxo IT India Private Limited is a part of the Initto Group which teamed up with Saxo Bank. It designs and develops customised software applications. Besides, it also provided technical support services during the relevant AY to some unrelated enterprises in India. It reported four international transactions, including provision for software development – for Rs. 20,72,25,235/-. This transaction is the one in controversy. As regards the other three, the revenue did not raise any dispute. 3. In the proceedings before the TPO, the assessee’s Transactional Net Margin Method (TNMM) was accepted as the most appropriate one for carrying out the ALP determination. The assessee’s profit margin from this transaction was shown as 22.63% as against the mean margin of five comparables at 17.91%. The TPO observed that the overall Profit Level Indicator (PLI), upon application of the Operating Profit to Operating Cost (OP/OC) on the assessee’s Profit and Loss account was (-)15.34% whereas it has shown profit margin on international transactions at 22.63%. After considering the record, the TPO decided to add 20 comparables and according to its determination, an adjustment of Rs. 8,23,72,723/- had to be made to the income. Aggrieved, the assessee approached the Dispute Resolution Panel (DRP). This body, after considering the submissions of the assessee held that of the 20 comparables considered by the TPO, 7 were not really comparables, and added some more comparables, swelling the list again to 20. The DRP directed deletion of 2 comparables which resulted in Profit and Loss adjustment and income adjustment; its decision led to a reduced overall income adjustment of Rs. 7,76,66,682/-. 4. The assessee appealed to the ITAT, which upon its detailed consideration of the materials, accepted the plea with respect to four comparables and directed that they should be excluded. The assessee’s contention with respect to E-Infochips, Persistent Systems & Solutions Ltd., Larsen and Toubro Infotech Ltd. and Sasken Communications Technologies Ltd. were accepted. The revenue is aggrieved by these as well as exclusion of Wipro Technology Services Limited. 5. It is argued on behalf of the revenue that the rationale adopted by the ITAT with respect to lack of segmental data vis-a-vis four of the comparables is contrary to the records. Learned counsel highlighted that with respect to each of the four companies, i.e. E-Infochips, Larsen and Toubro Infotech Ltd., Persistent Systems & Solutions Ltd. and Saken Communications Technologies Ltd., the documentary evidence pertaining to each of them in the form of annual reports and other material collected from internet resources were analysed elaborately. On the basis of these, the TPO was able to accurately segregate the volume of transactions allocable to software product sales as opposed to software technology services. In these circumstances, the argument about lack of segmental data could not have been a broad brush reasoning by the ITAT to reject the comparables which otherwise indicated high profit margins. It was also contended that apart from this, there is no reason worthwhile for the exclusion of Wipro Technology Services Limited on the list of comparables. 6. Learned counsel for the assessee appearing on advance notice contends that the transfer pricing exercise in the Profit Loss filter to be adopted invariably is premised upon accurate – as opposed to approximation, with respect to Operating Cost and Operating Profits. The comparison which the assessee or the entity is subjected to is with respect to its transaction with the Associated Enterprise, characterised as “international transaction” under the Chapter read with Rules 10B to 10D of the Income Tax Rules. Specific reliance is placed upon Rule 10B(1)(e) to say that cost apart from assets and sales are the relevant denominators in carrying out the TNMM exercise. In the absence of accuracy, the result could be widely off the mark. 7. As far as Wipro Technology Services Limited is concerned, it is submitted that the revenue has not articulated any ground in its appeals nor indicated precisely why the exclusion of Wipro Technology Services Limited is erroneous. The narrow question which requires determination is whether the exclusion of the four comparables which were taken into consideration while carrying out the ALP determination by the TPO was erroneous. 9. It is evident, therefore, that the international transactions which are the subject of scrutiny is to be through a filter, and computation is arrived at “in relation to costs incurred or sales effected or assets employed or to be employed by the enterprise”. 10. On a comparison with the data available and made available, undoubtedly, the object of the statute is to “pull in transactions which otherwise escaped the radar of tax assessment under one head or the other. The transfer pricing methodology – shorn of its details is an attempt by each nation to locate the incidents of income which would be subjected to levy within its jurisdiction where international transactions are involved. This exercise does not compare with other income assessments where the methodology adopted in their domestic jurisdiction will differ”. The TNMM method depends on accurate data with respect to all the three elements – wherever they apply. In the Comparable Uncontrolled Price (CUP) method – which is premised upon the elements in Rule 10B(1)(a), the methodology adopted is the price charged or paid for property transfer or services provided in the Comparable Uncontrolled transaction. Therefore, the nature of the transaction and the appropriate filter determines the elements that are to be considered in TNMM. Therefore, the costs, sales and assets employed wherever relevant are to be applied. From this perspective, the revenue’s contention that segmental data was available, cannot be accepted. The mere availability of proportion of the turnover allocable for software product sales per se cannot lead to an assumption that segmental data for relevant facts was available to determine the profitability of the concerned comparable. 11. For the above reasons, no substantial question of law arises. The appeal is accordingly dismissed along with the pending applications. This entry was posted in Section 92C and tagged 397 ITR, Delhi High Court, In favour of Assessee, transfer pricing.